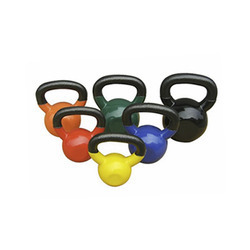 Leading Wholesale Trader of viva fitness tpr solid dumbbells, rubber coated solid dumbbells, rubber coated hexagon dumbbell, viva fitness tpr solid olympic plates, coloured rubber coated olympic plates and pulse fitness tpu kettle bell dumbbell from Coimbatore. 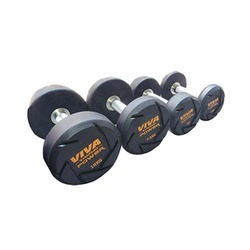 We are the affluent trader, supplier & retailer of premium grade assortment of VIVA Fitness TPR Solid Dumbbells. The offered dumbbell is manufactured in our high-end production facility with high precision using high grade thermoplastic rubber for long life. This dumbbell is used for weight lifting purposes in gyms. 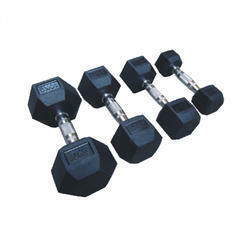 Our dumbbell is available in various sizes as per the needs of customers. 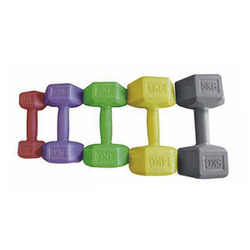 We are the affluent supplier & retailer of premium grade assortment of Rubber Coated Solid Dumbbells. 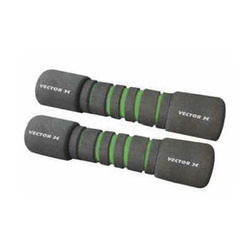 Our offered dumbbell is produced in high-end production facility with high precision using high-grade rubber at vendors end hence, possess long life functionality with high resistant to wear. 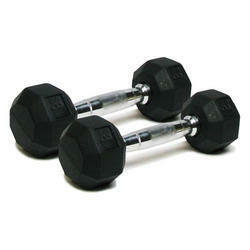 Our dumbbell is available in various sizes as per the needs of customers. 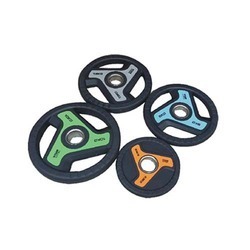 Based on the experiences of our capable specialists and skilled workers, we are presenting a the commendable range of Rubber Coated Hexagon Dumbbell. 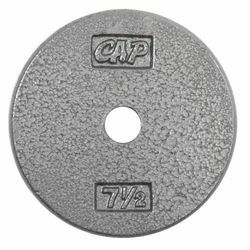 Our presented dumbbell is manufactured from optimum quality raw materials in acquiescence with the set industry standards at vendors end. 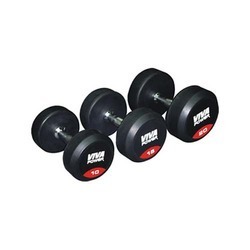 The offered dumbbells are available in various finish and specifications as per the criteria of the market. 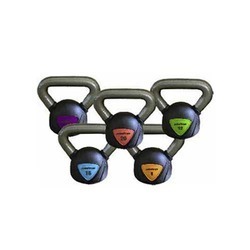 These dumbbells are broadly appreciated by our customers which are located all around the nation.